John Stoker is a gifted trainer and executive coach who specializes in helping managers and leaders improve communication skills and build more effective interdependent teams. 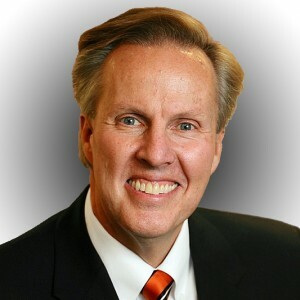 John is widely known for his work with dialogue in helping individuals and organizations enhance performance in customer service, negotiation, collaboration, and team dynamics. He has an international reputation for his work in designing strategic change and creating and implementing training curriculum in support of company-wide improvement initiatives. In addition to his expertise in leadership, change management, and dialogue, John helps clients with performance issues related to critical thinking, conflict resolution, and emotional intelligence. John’s clients range from Alcon Labs, AT&T, Cigna Health Plan, Cox Communications, Ford, Comcast Cable, Banner Health and Mitsubishi to Lockheed Martin, Eastman-Kodak, Regeneron Pharmaceuticals, Hewlett Packard, Martin Marietta, Nike, Microsoft, and Turner Broadcasting. John holds advanced degrees in organizational behavior and law and taught at the university level for 13 years. He is author of the book Overcoming Fake Talk: How to Hold Real Conversations That Create Respect, Build Relationships, and Get Results.